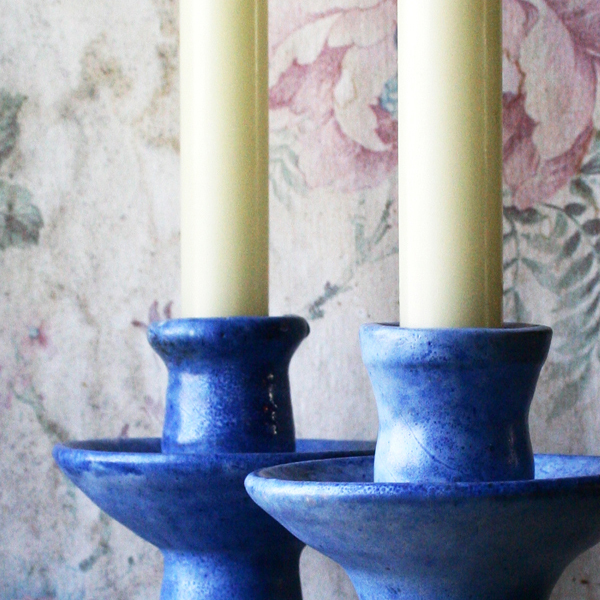 Candlesticks are made in collaboration with the ceramics department and the corresponding hand dipped candles. Surprising, pleasant articles emerge thanks to this amalgamation of two crafts and techniques and made for lovely gifts. The range of candlesticks varies from the more traditional type to a wilder form; as such you will always find something to suit your taste. The candles are hand dipped meaning you can not only determine the size and thickness, colour and scent, but above all this it will exude something a little more personal. There will be a special gift range made closer to Christmas consisting of beautiful packaging and in it a candlestick with 2 accompanying candles with a little Christmas greenery". Stock is limited so be on time.